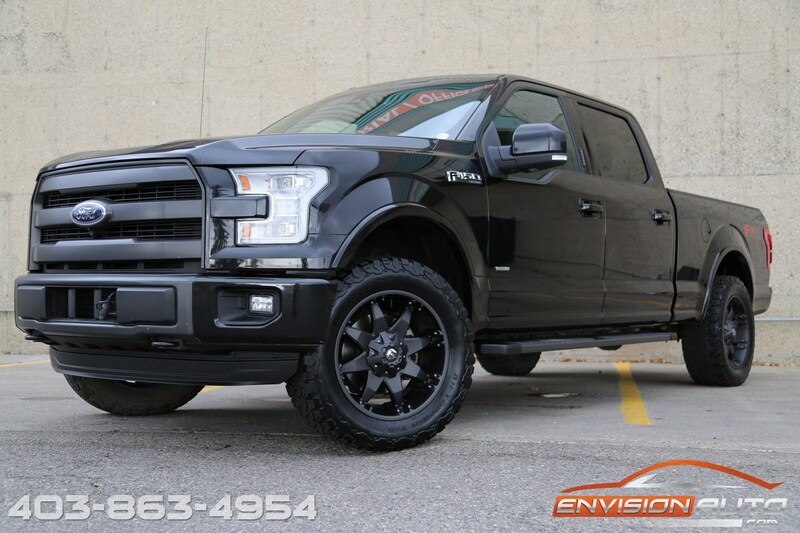 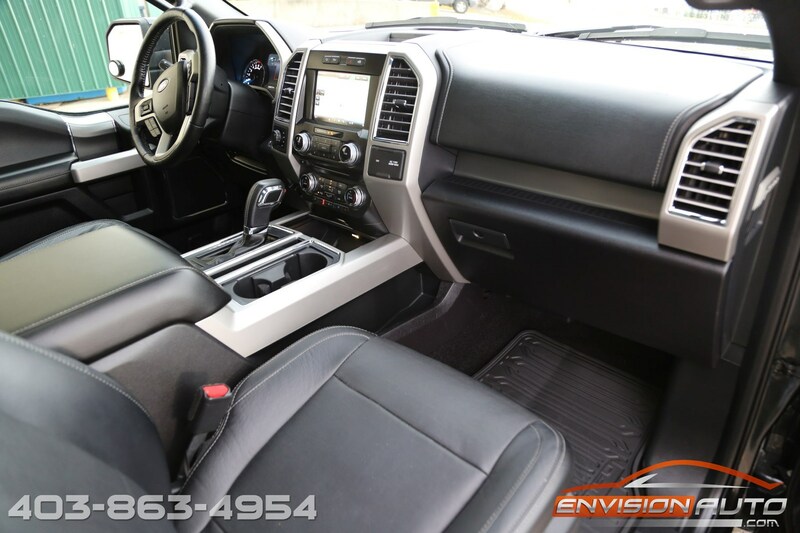 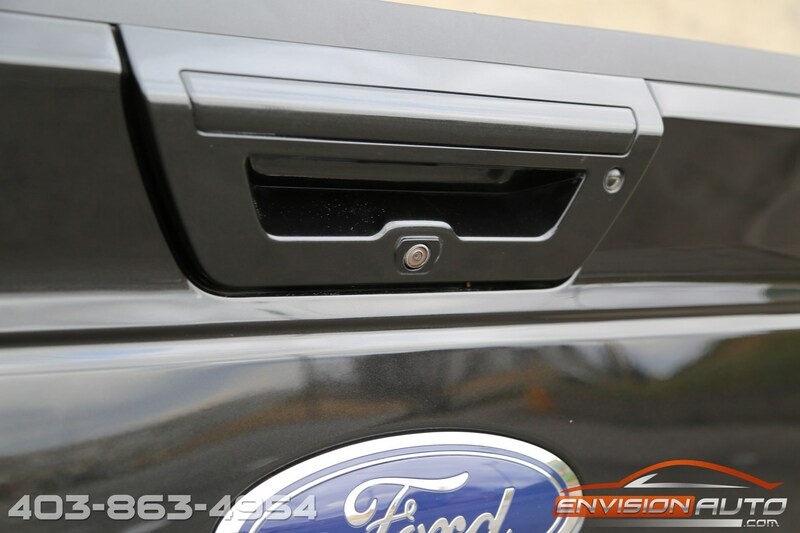 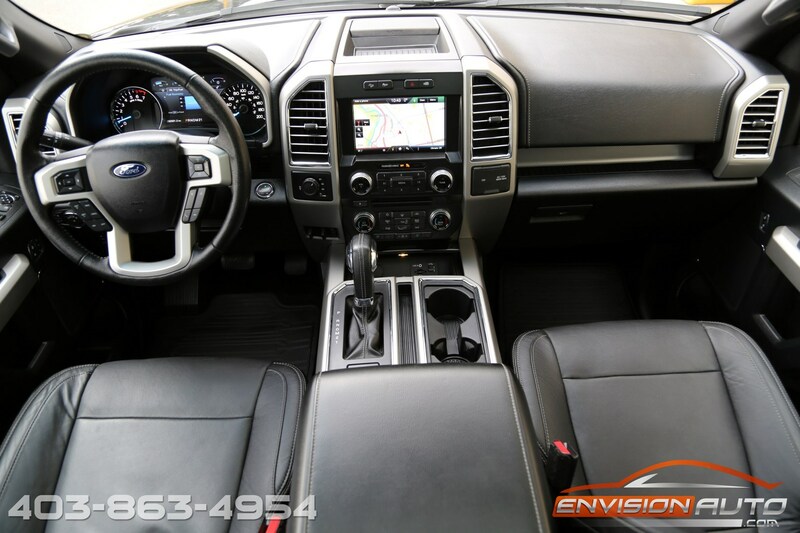 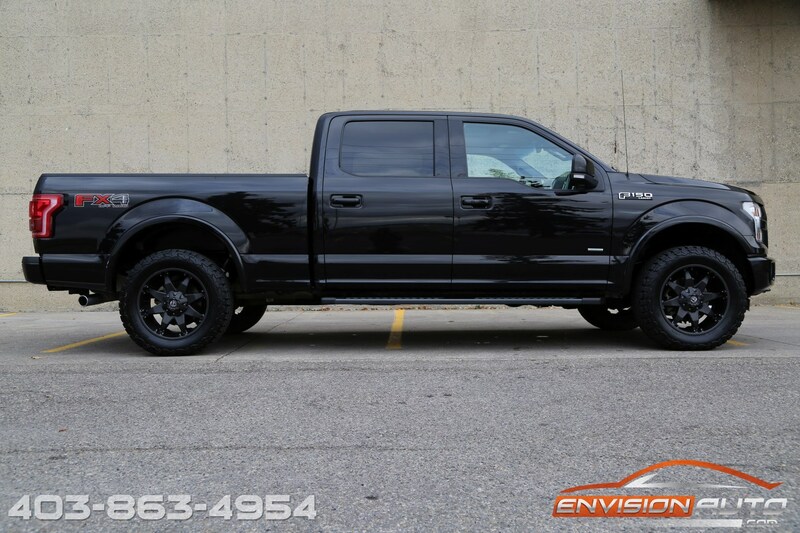 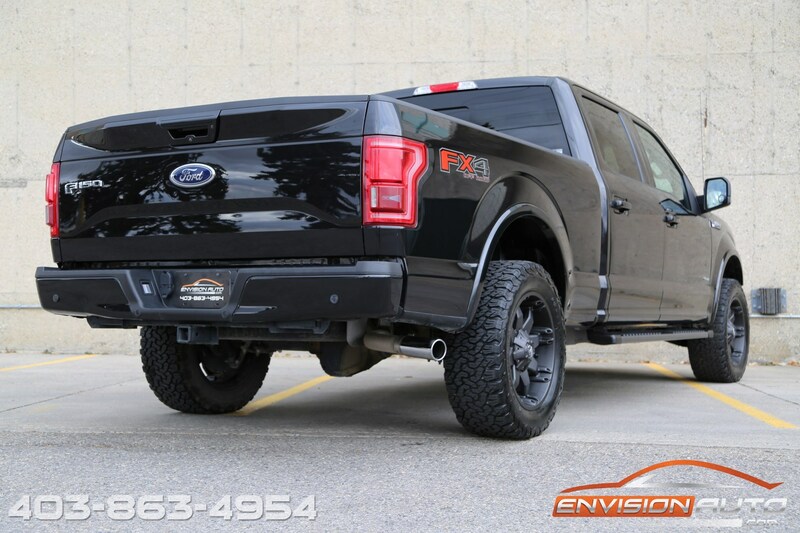 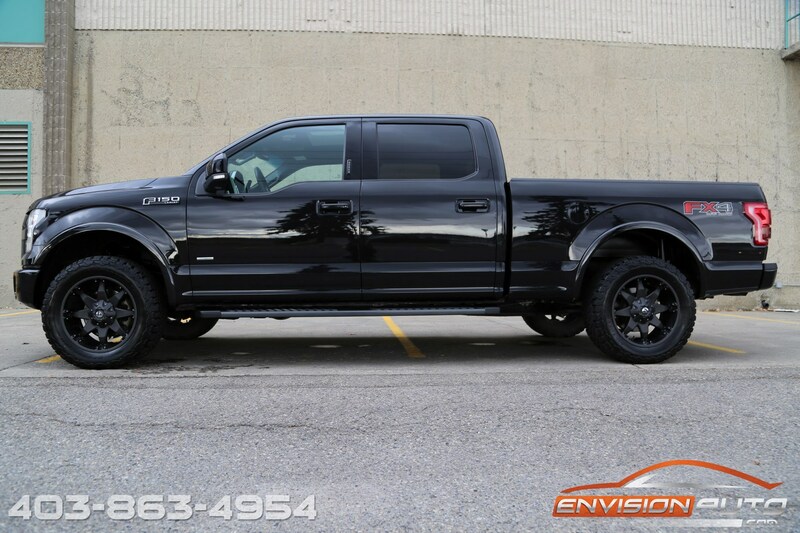 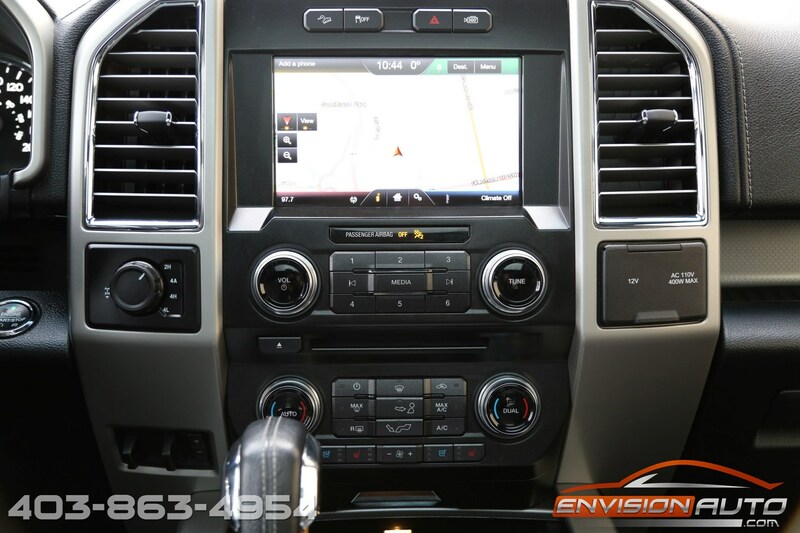 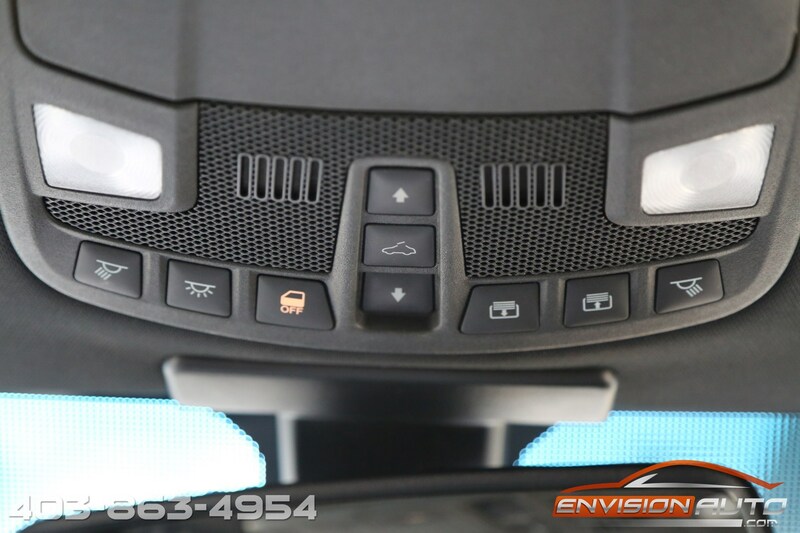 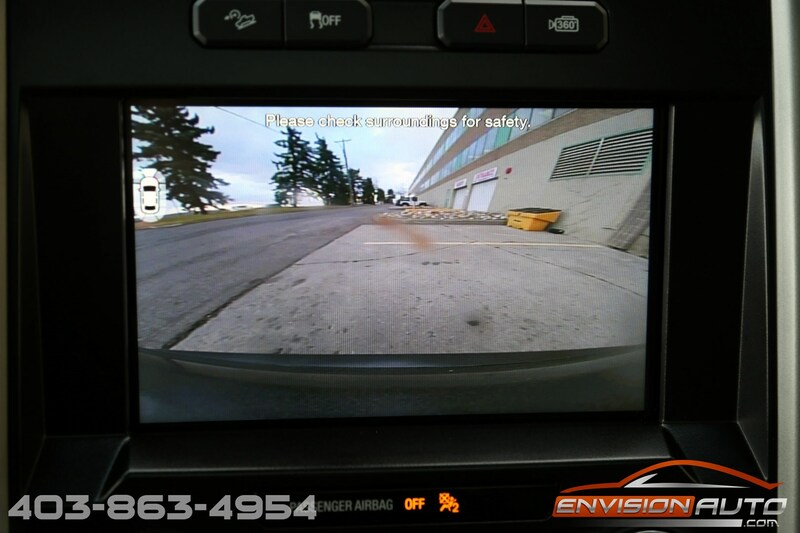 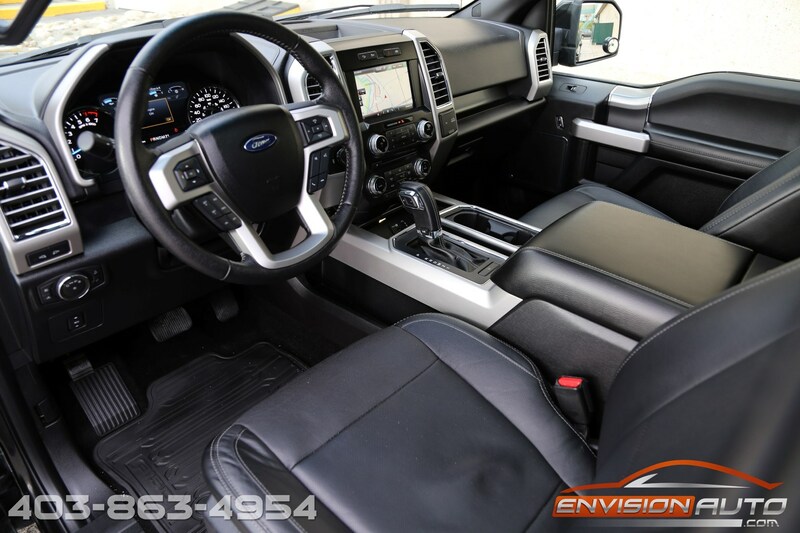 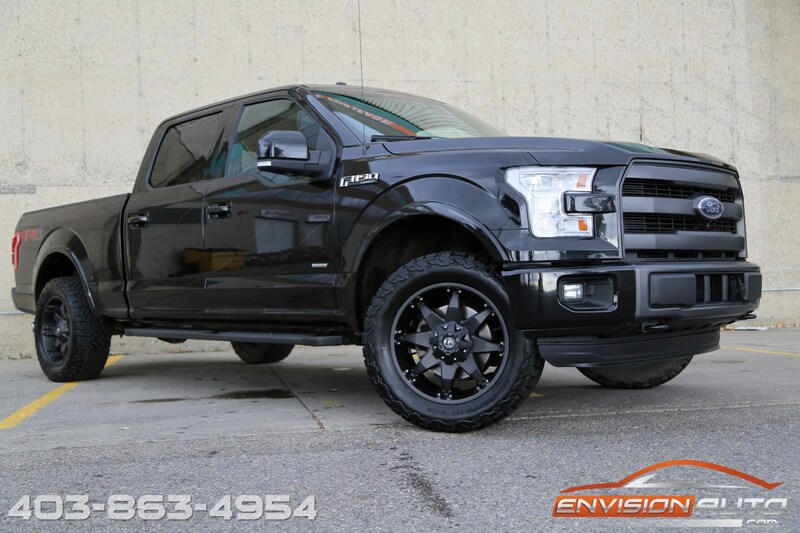 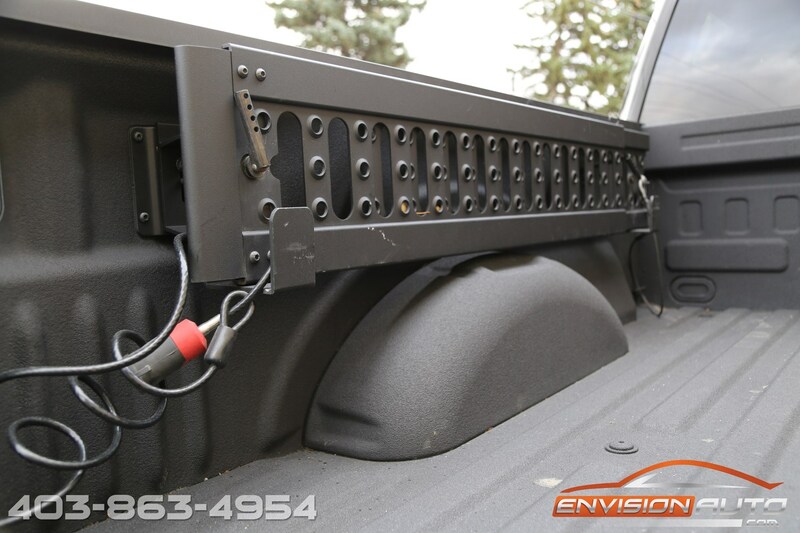 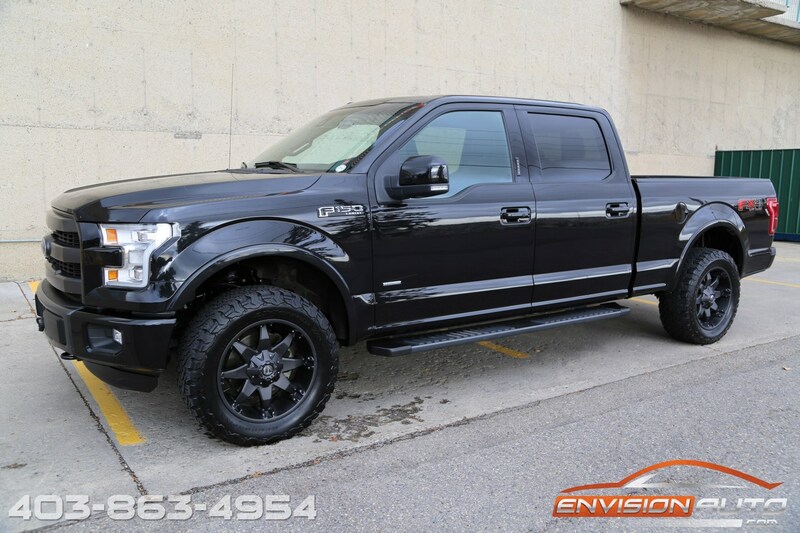 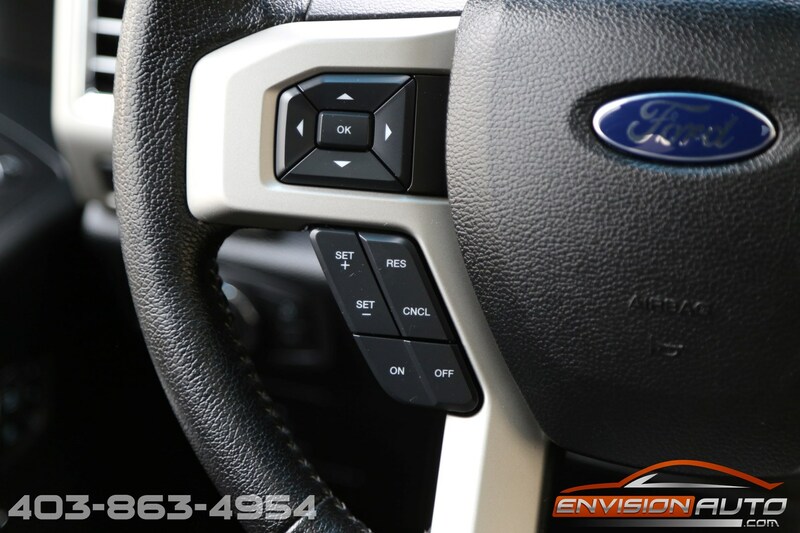 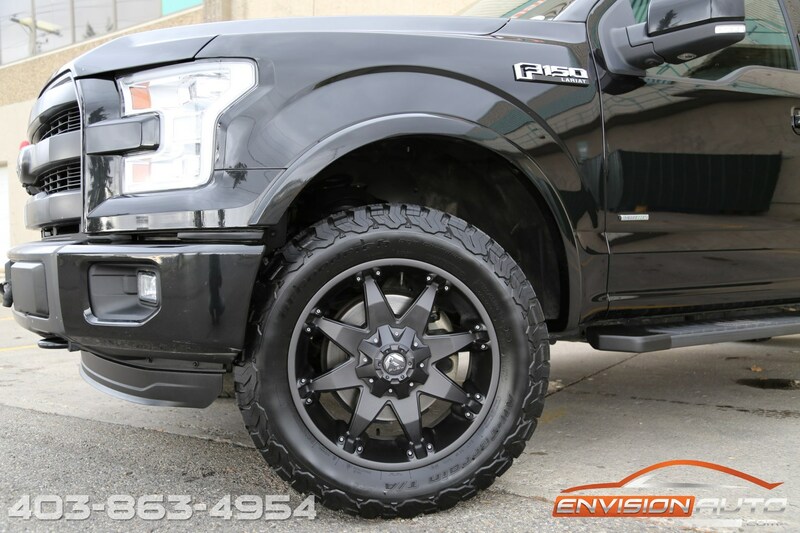 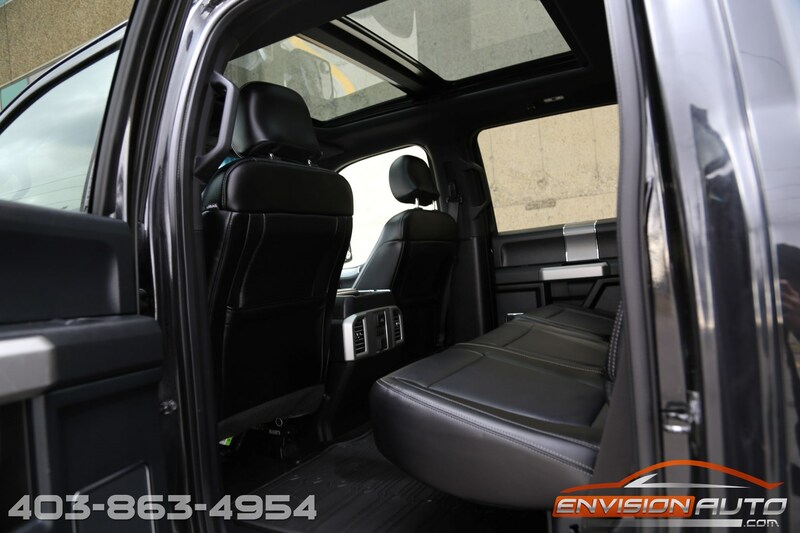 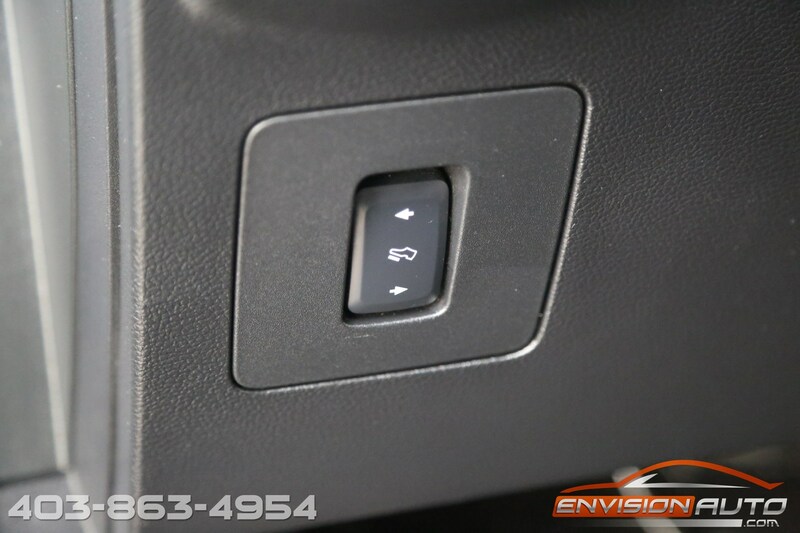 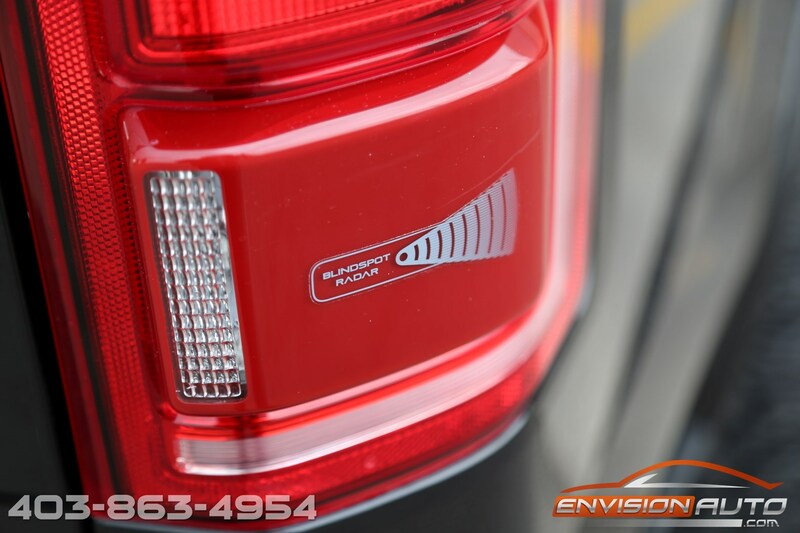 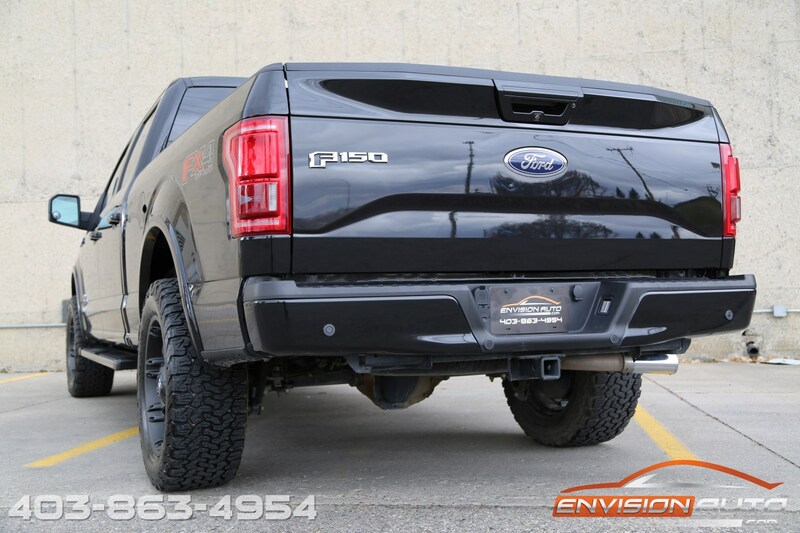 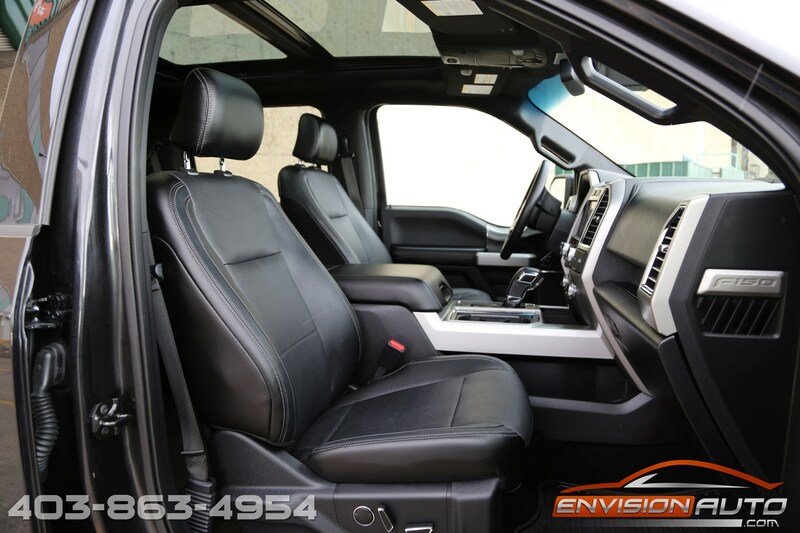 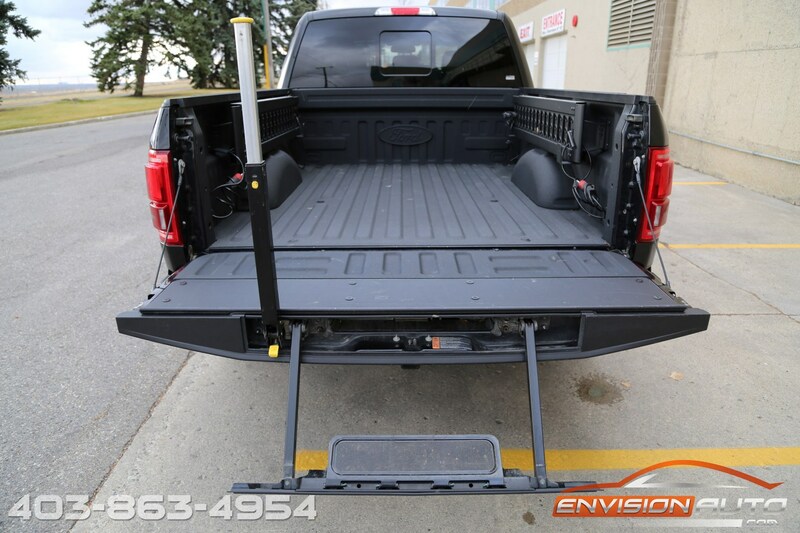 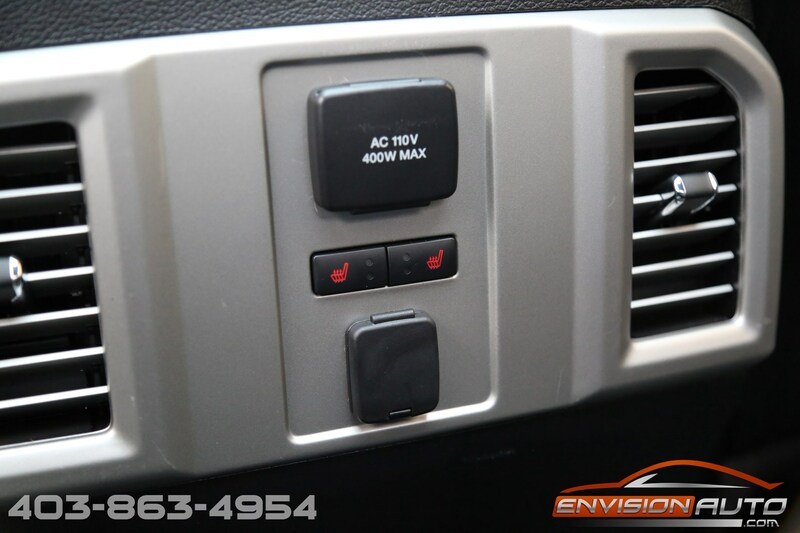 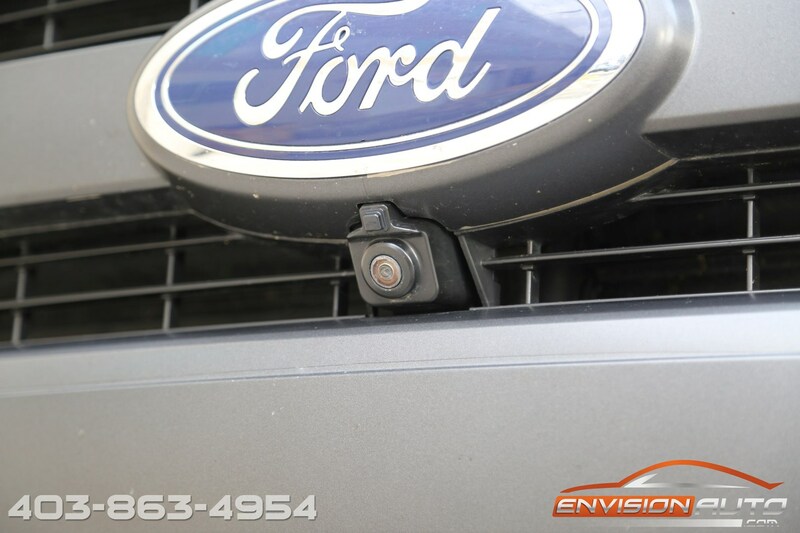 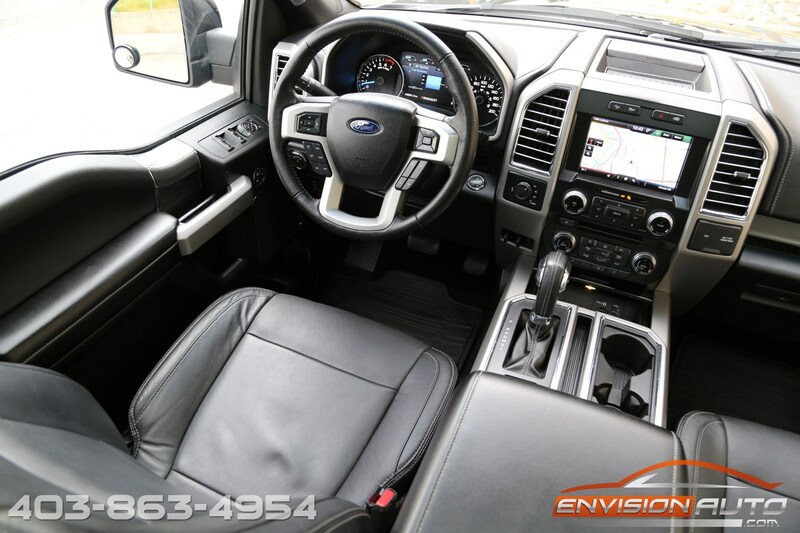 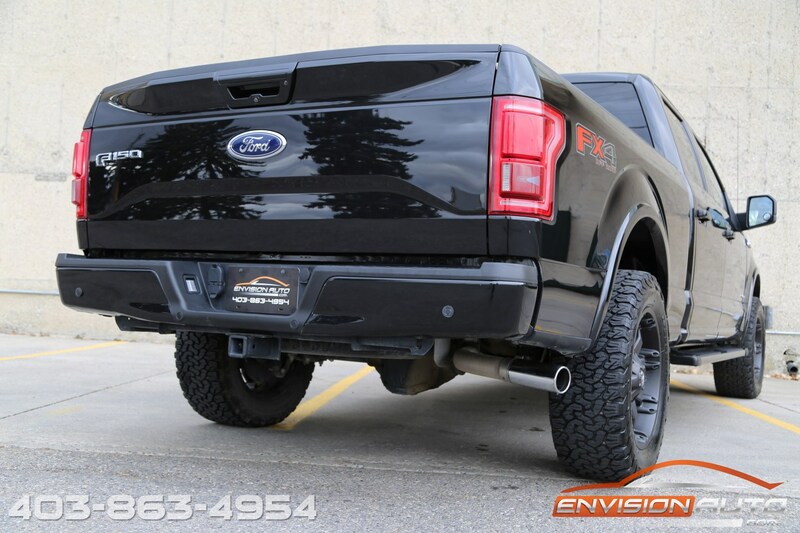 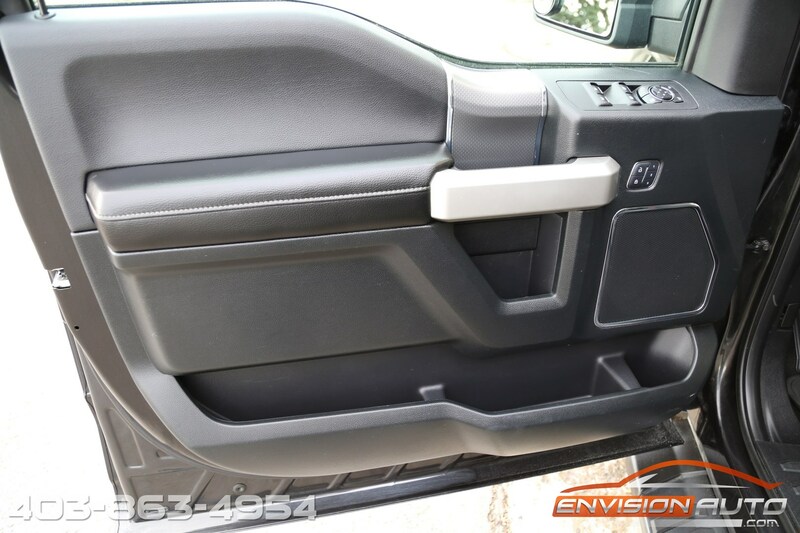 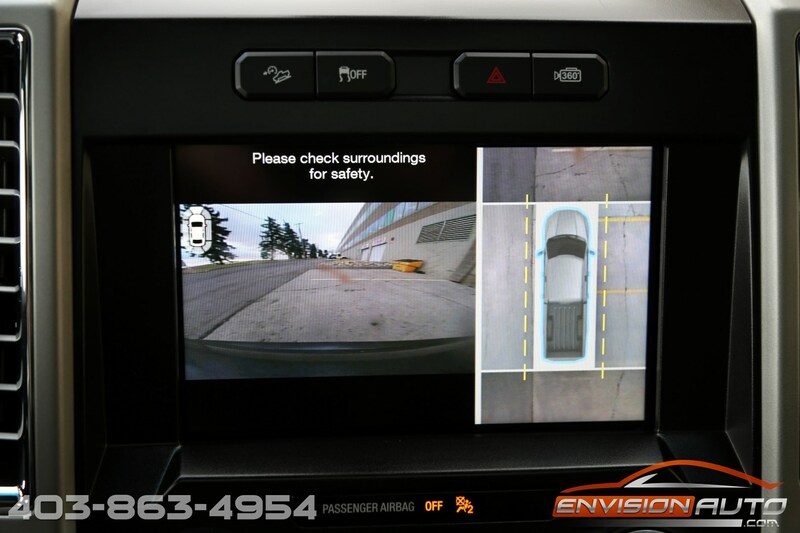 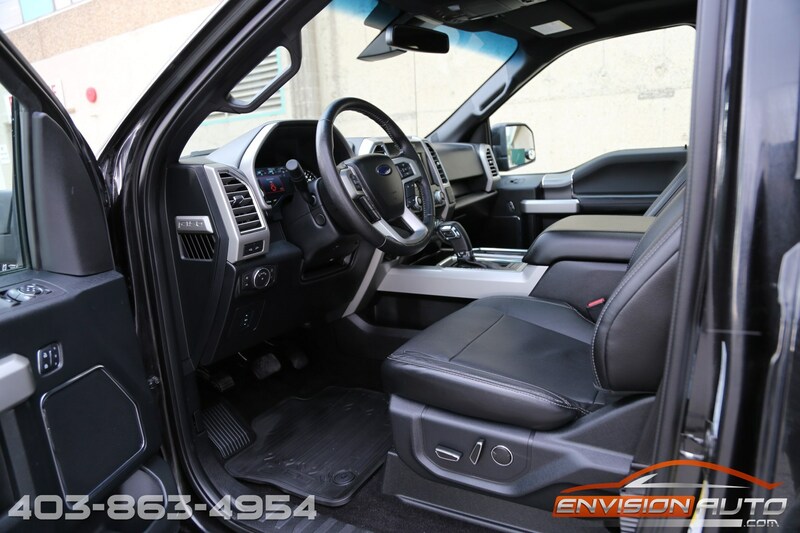 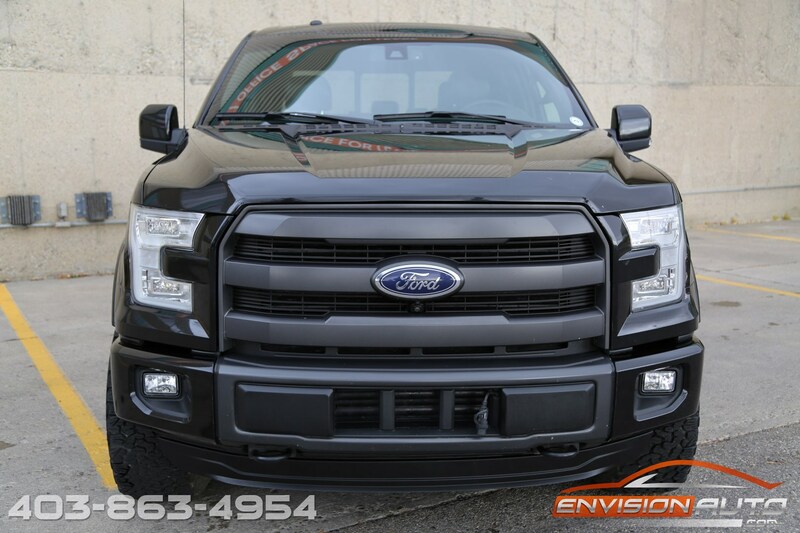 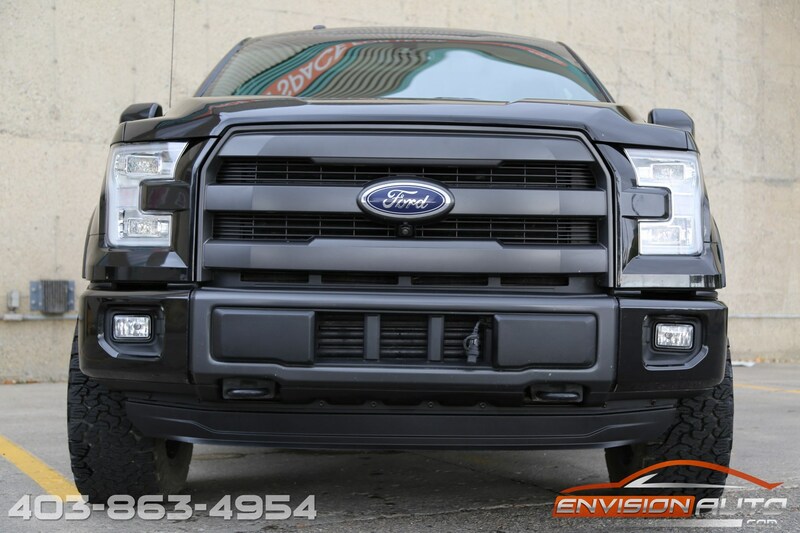 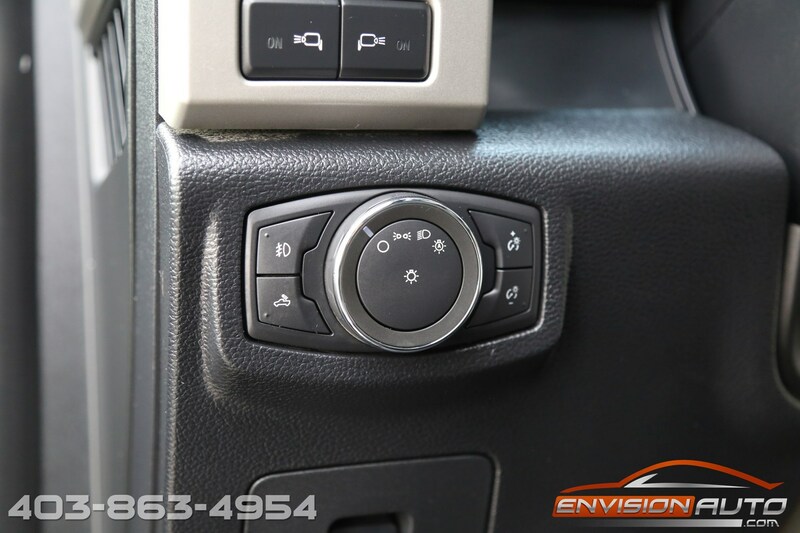 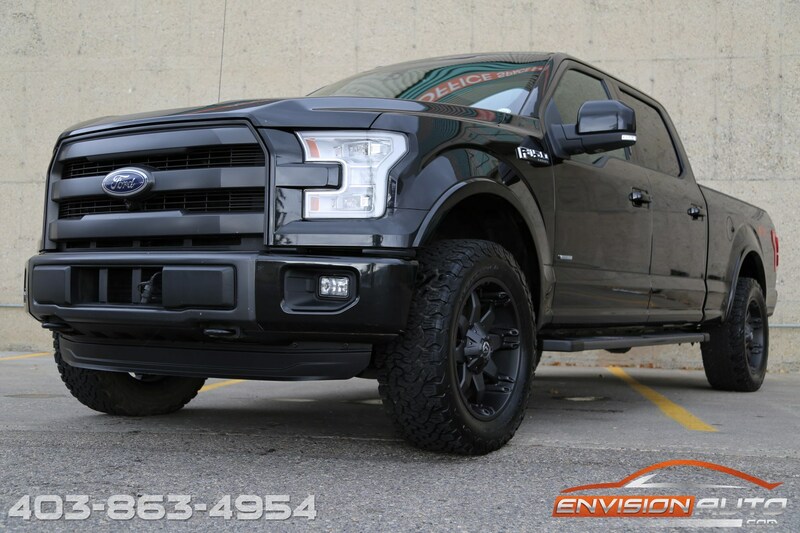 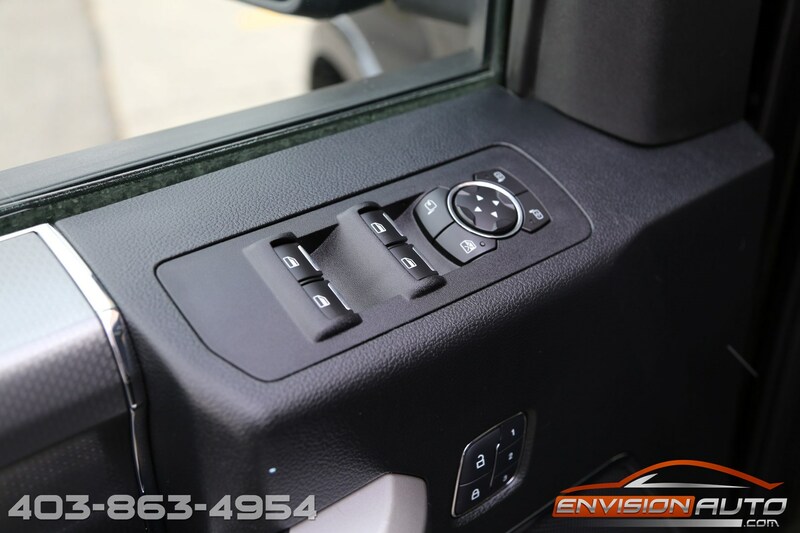 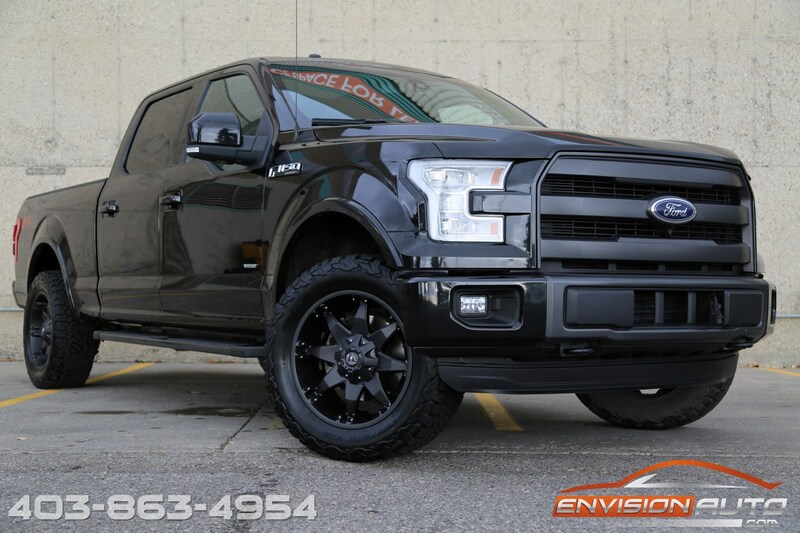 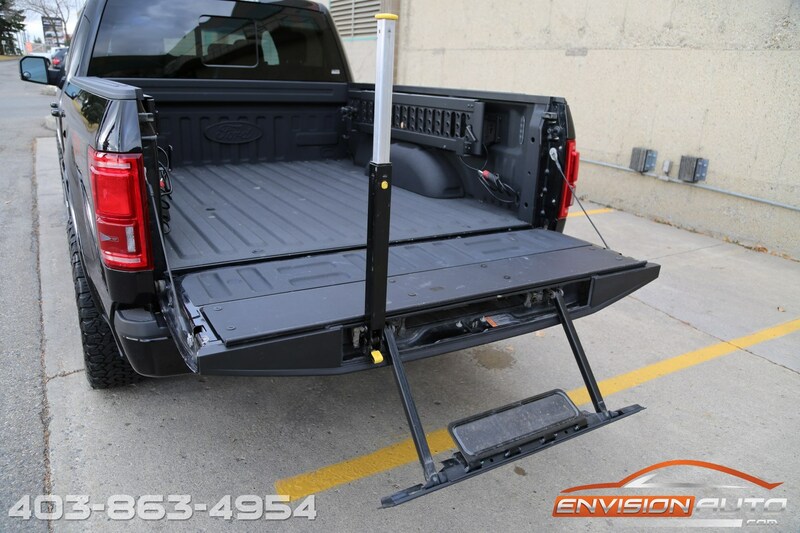 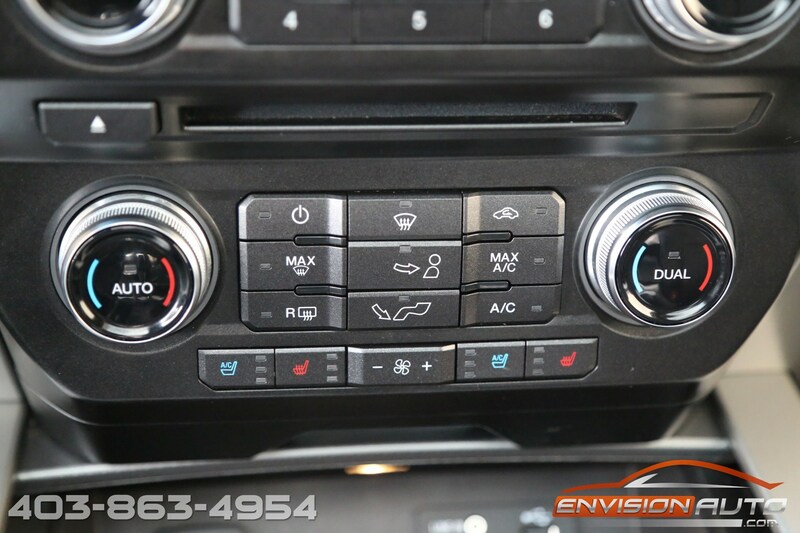 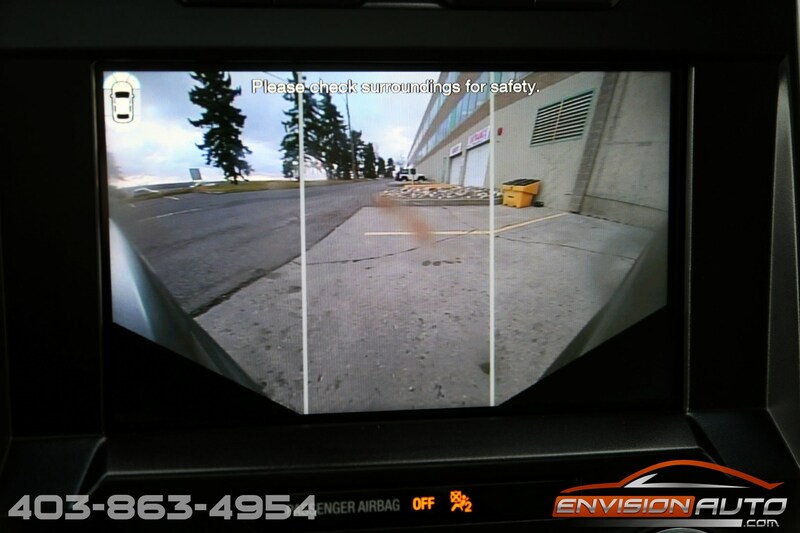 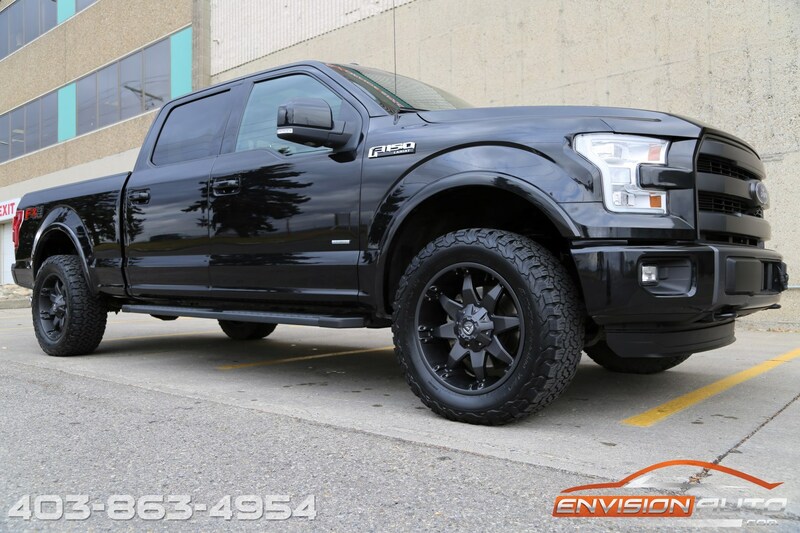 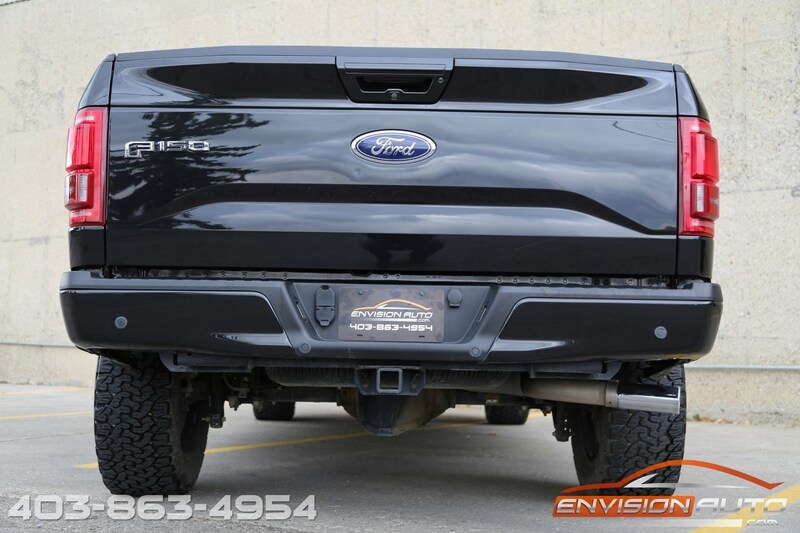 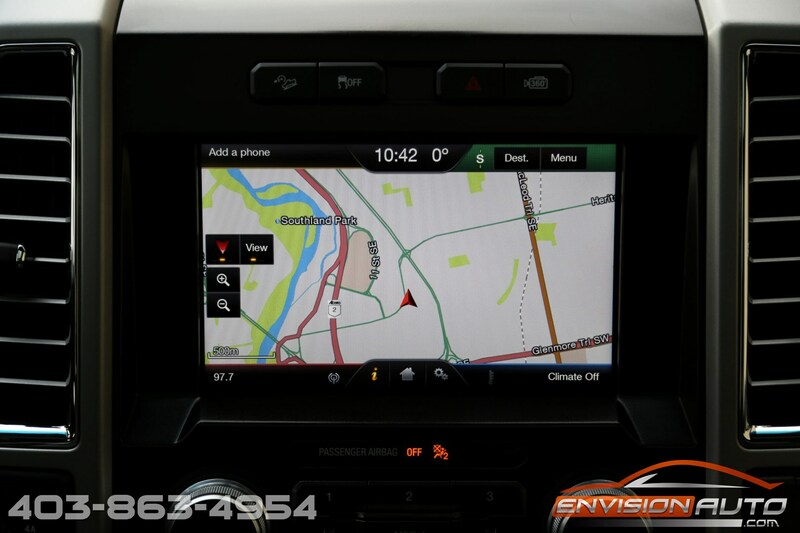 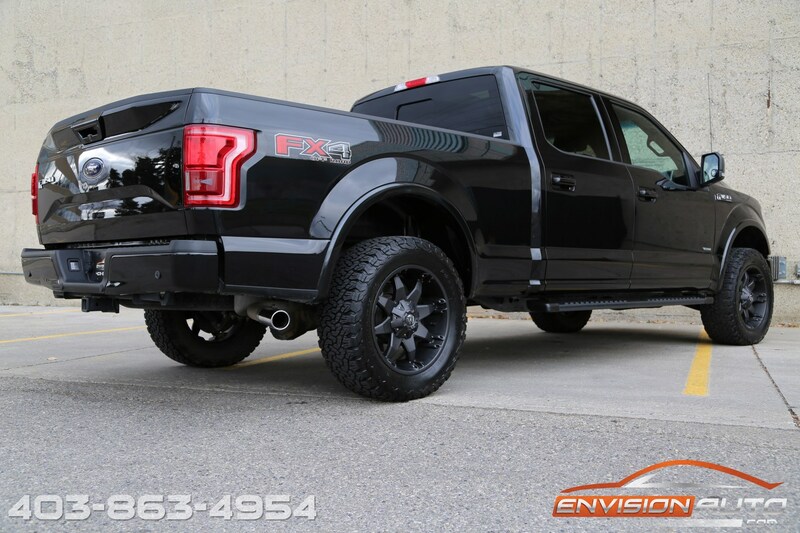 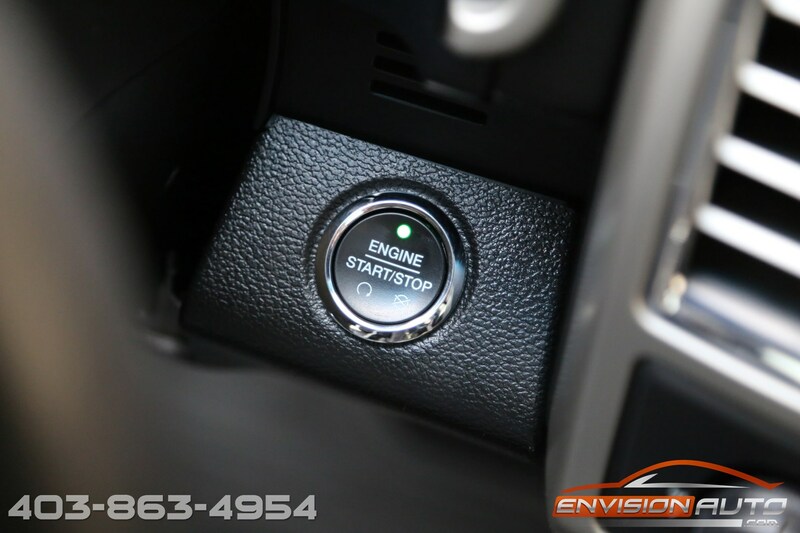 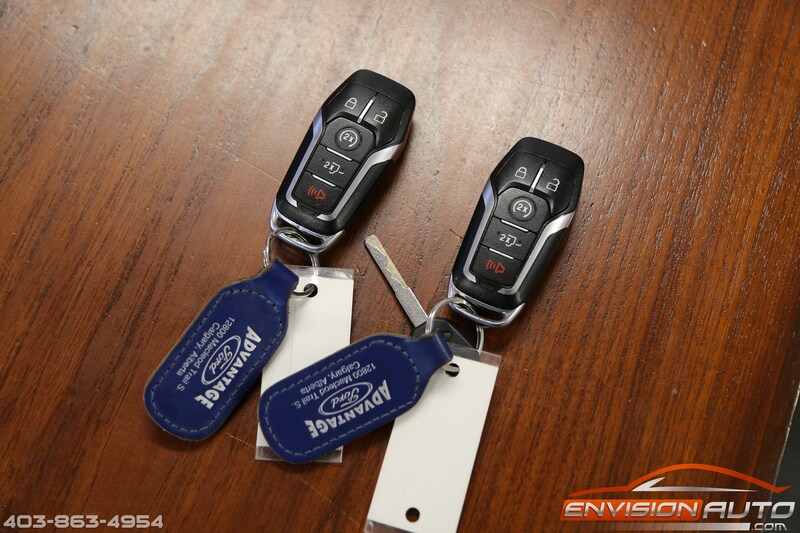 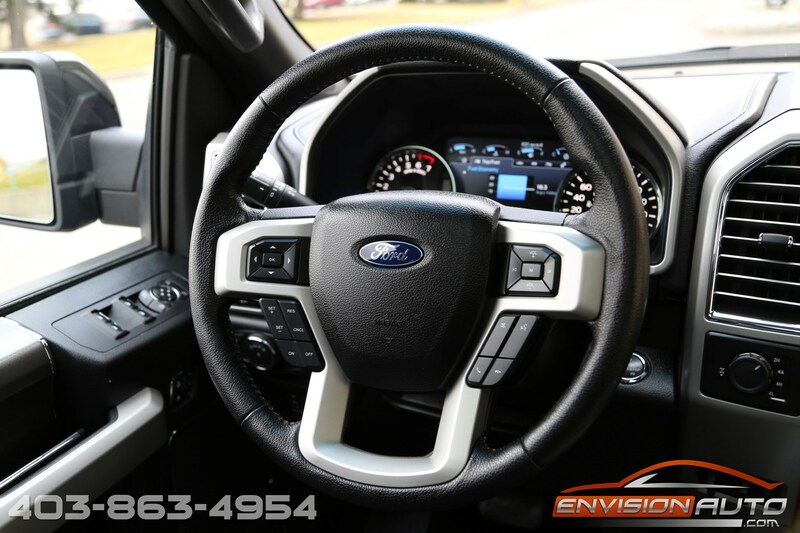 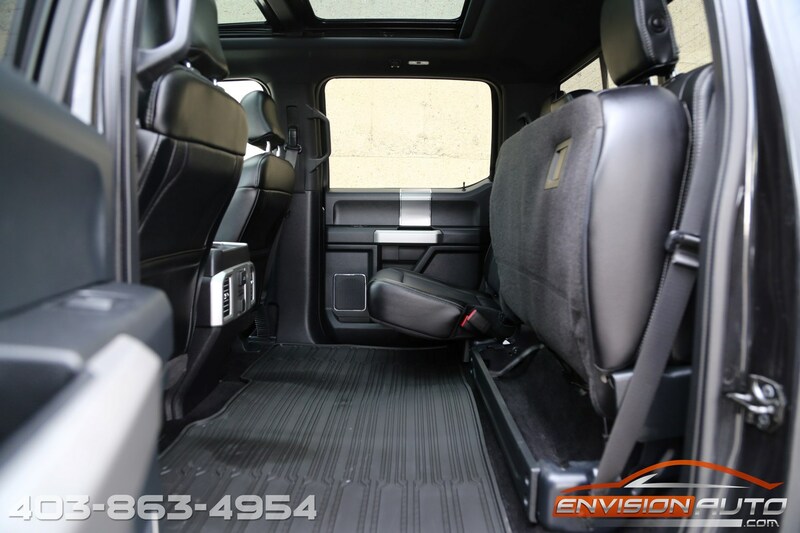 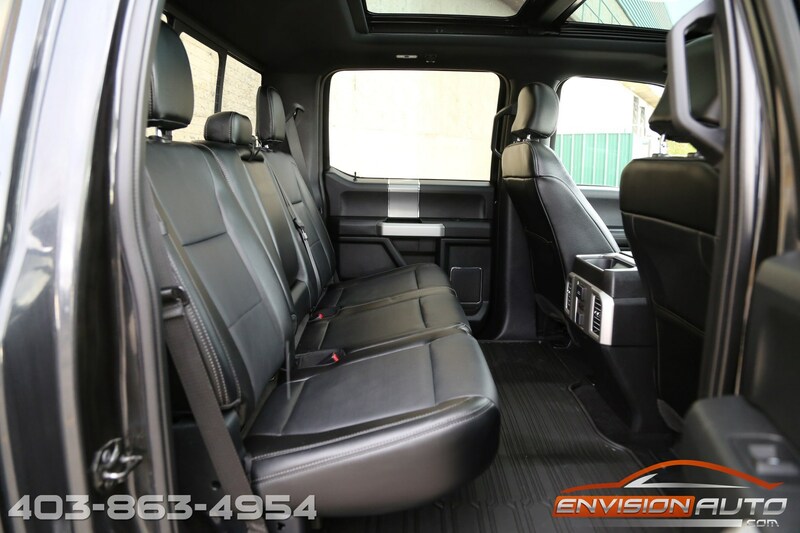 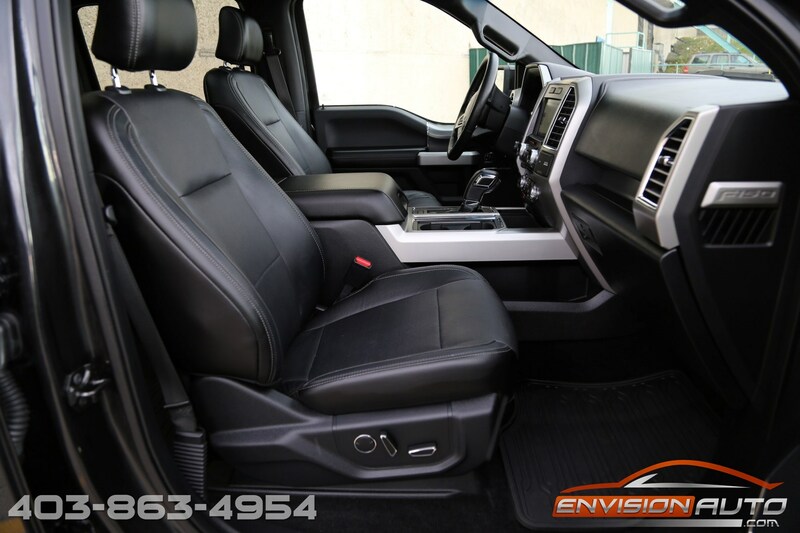 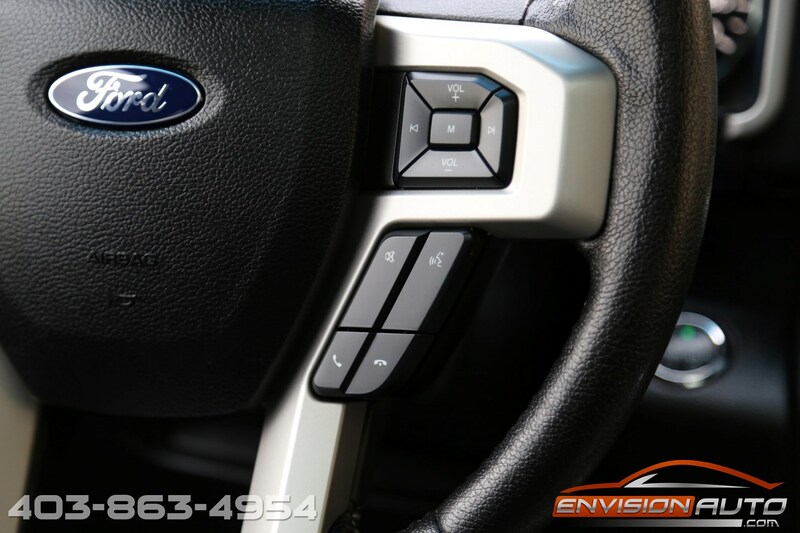 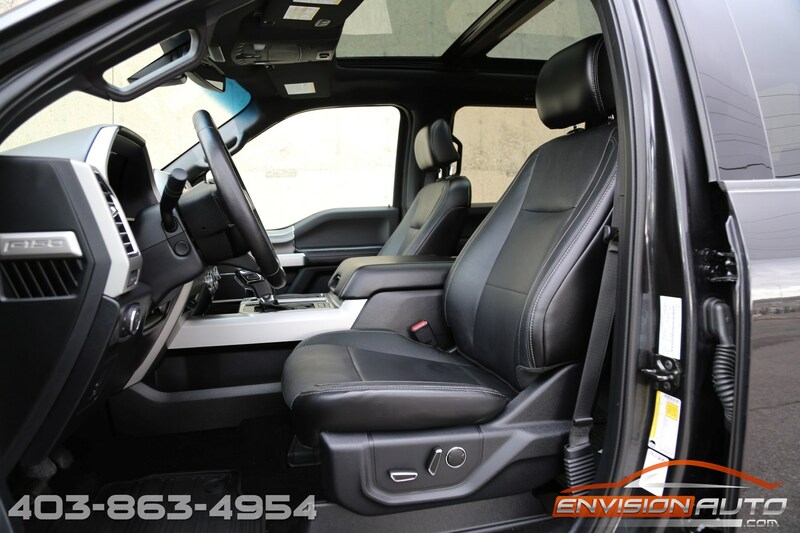 More Details : – ONE LOCAL CALGARY OWNER SINCE NEW – LOADED 3.5L ECOBOOST LARIAT FX4 – ORIGINAL MSRP OVER $70K – SUPER CREW 6.5 FOOT BOX – QUAD RAMP RAILS – NAVIGATION – 360 DEGREE OVERHEAD CAM – ACTIVE PARK ASSIST – HEATED AND COOLED SEATS – SIDE BLIND ZONE ALERT – PANORAMIC ROOF – 2 INCH LEVELING KIT – CUSTOM FUEL WHEEL PACKAGE – BF GOODRICH KO2 TIRES – SPOTLESS CARPROOF HISTORY REPORT! 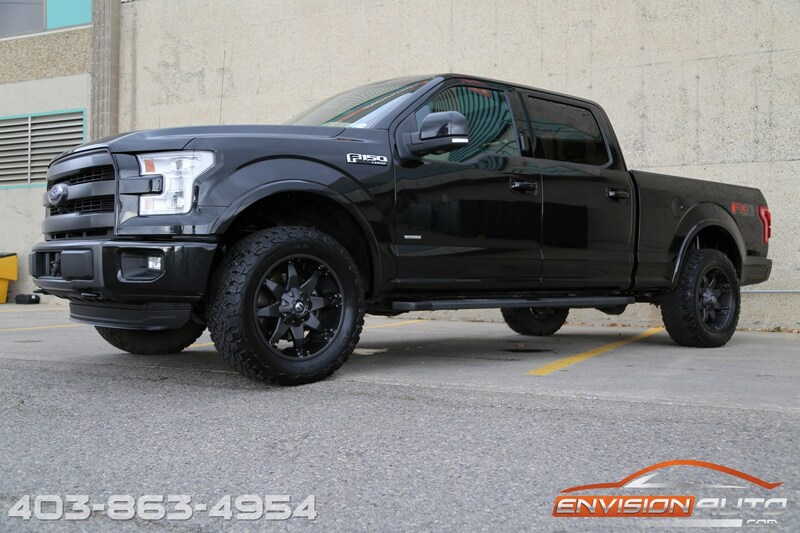 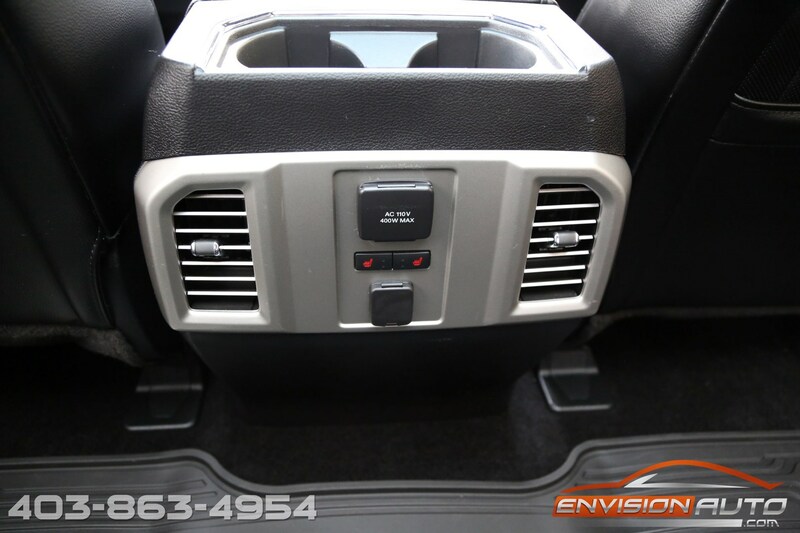 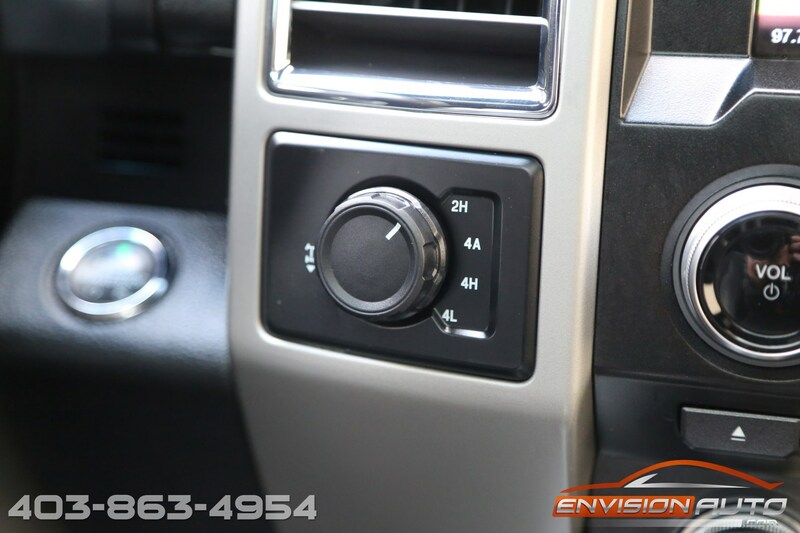 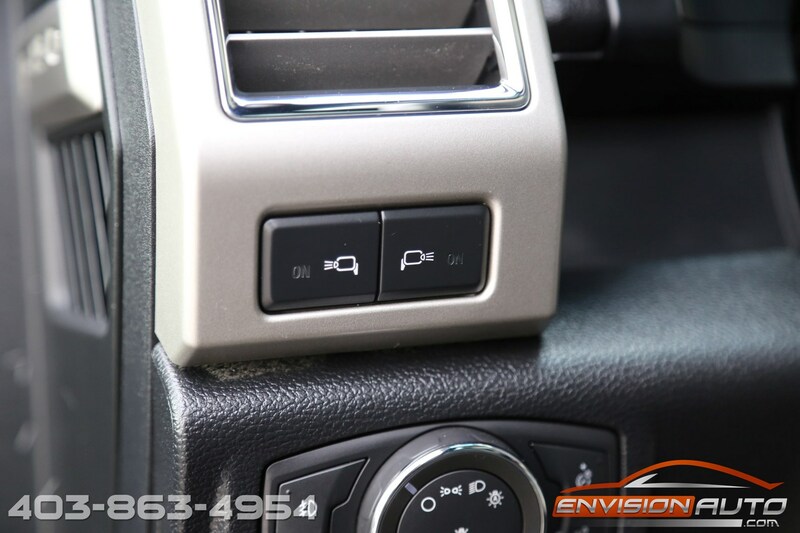 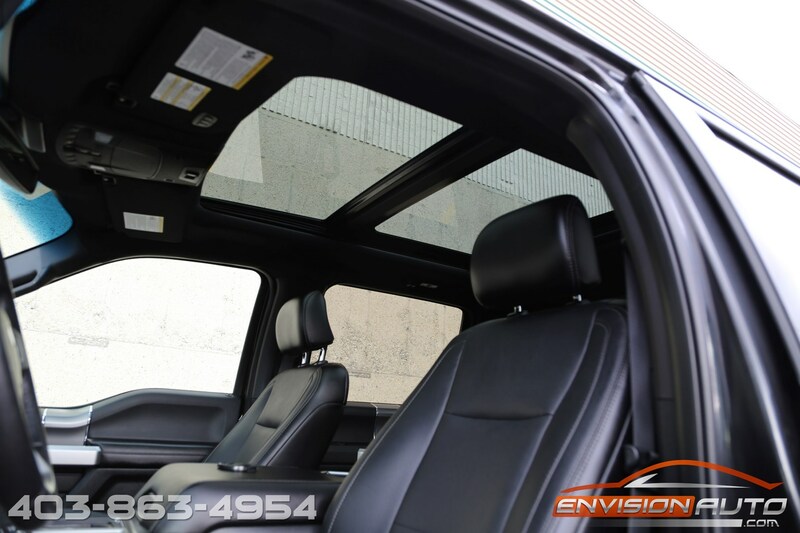 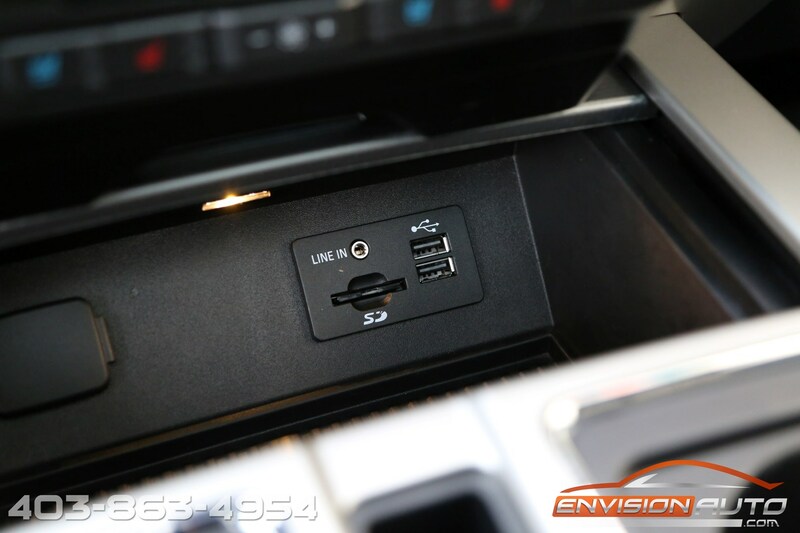 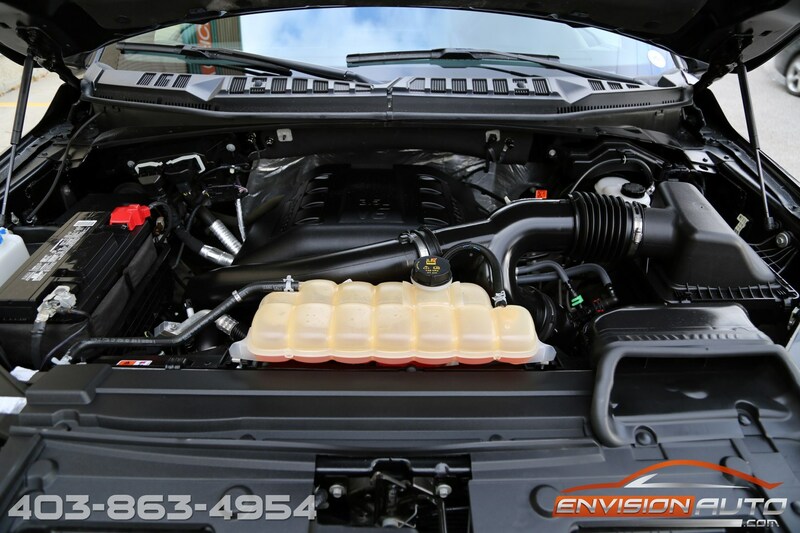 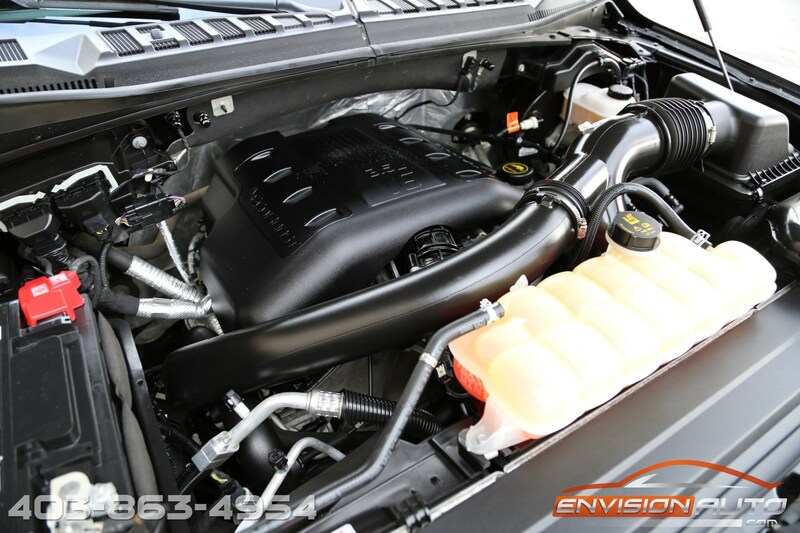 A near spotless example of a 2015 F150 3.5L Ecoboost Lariat FX4 – an absolute credit to the previous single local Calgary owner. 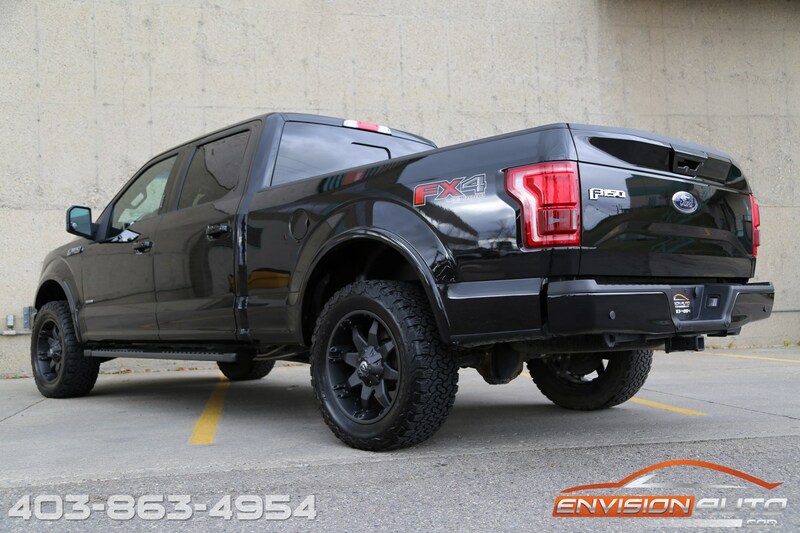 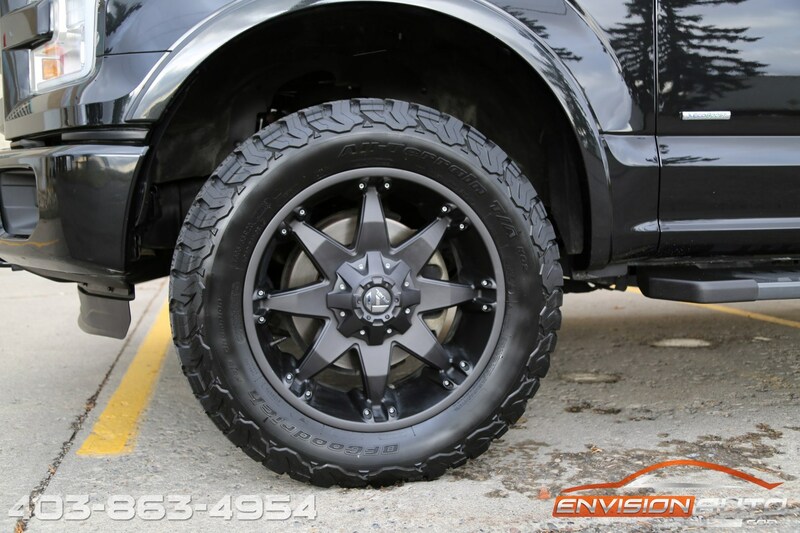 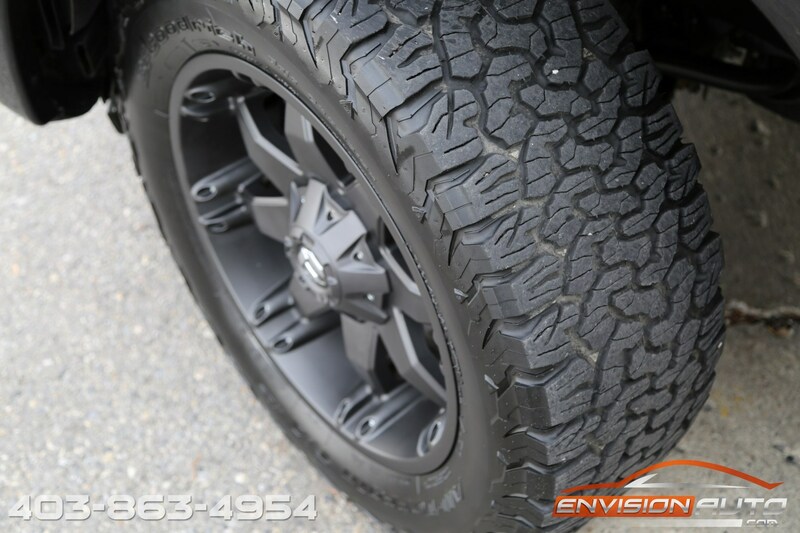 This lariat was treated to an upgraded fuel offroad wheel and tire package featuring a blacked out wheel package and BF Goodrich All Terrain KO2 tires – the only alteration from factory spec. 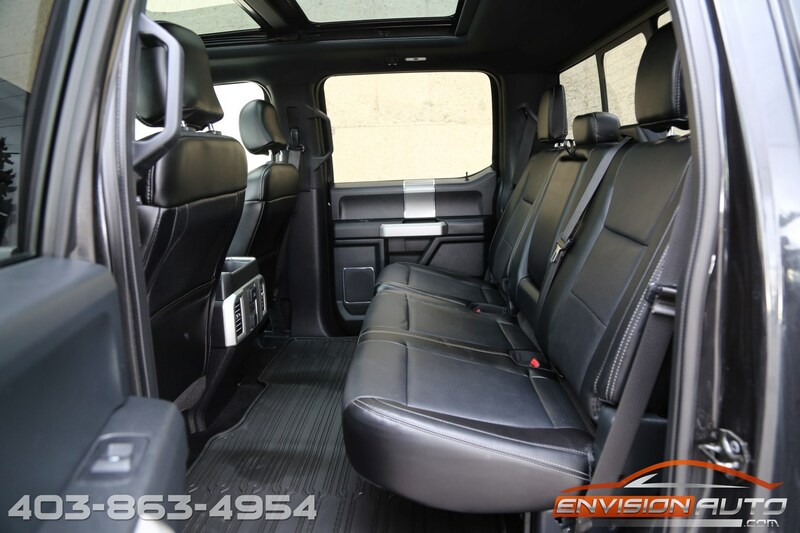 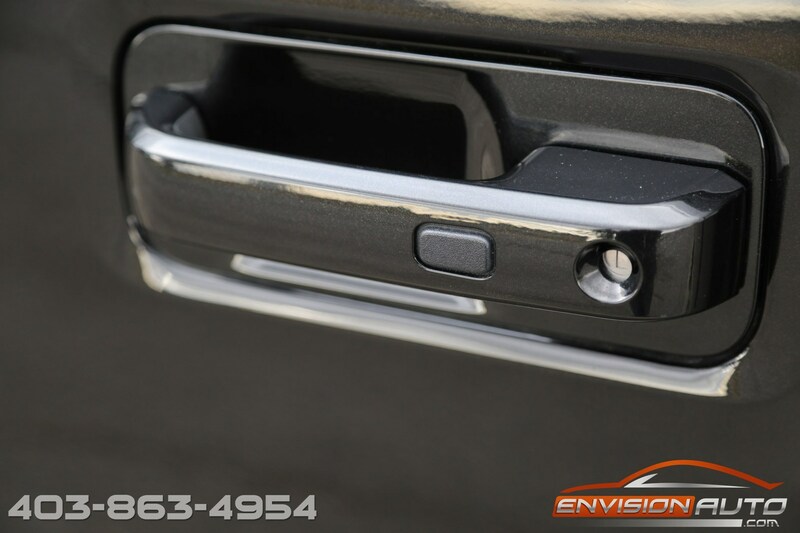 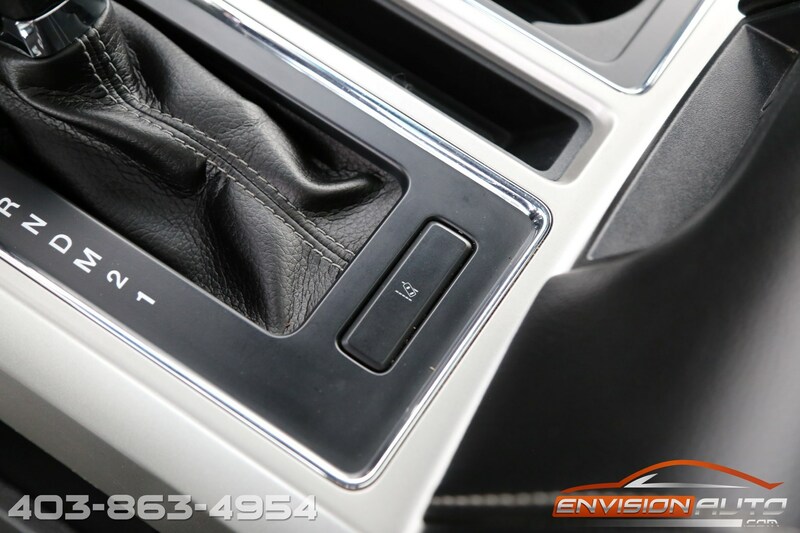 Factory equipment include full leather interior with heated and cooled front seats, heated rear seats, full panoramic glass sunroof, Technology Package featuring Lane Keeping System (Alert + Assist), 360 Camera with Split-view Display and Dynamic Hitch Assist, Pop-out Washer Jet Nozzle for Front Grille Camera, and Active Park Assist, factory remote start.